Duran Duran has announced that it will release its studio album, Paper Gods, in the U.S. on September 18 via Warner Bros. The album was co-produced by dance music legend—and producer of 1986’s Notorious—Nile Rodgers, Kanye West/Jay-Z collaborator Mr. Hudson, and retro-funkmaster Mark Ronson, along with Grammy-nominated engineer Josh Blair. (The latter two also worked on Duran Duran’s last studio album, 2011’s All You Need Is Now.) Guest appearances on Paper Gods include Janelle Monáe (who’s on the forthcoming first single, “Pressure Off”), ex-Red Hot Chili Peppers guitarist John Frusciante, electro upstart Kiesza, and actress/singer Lindsay Lohan. As for what Paper Gods sounds like, fans of Duran Duran’s early-’80s post-punk/goth/synthfunk days seem to be in luck. “[The album] really goes back to that strange early Duran mix: the hard-edged pop coexisting with this dark, weird, experimental side,” bassist John Taylor says in a press release. 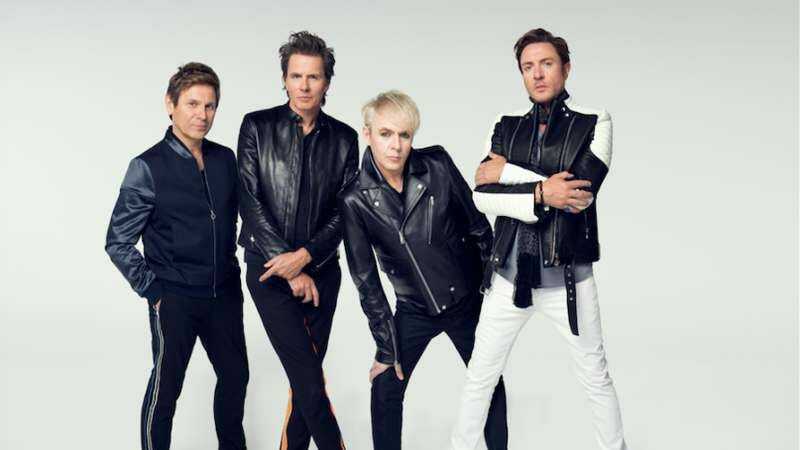 Duran Duran will be teaming up with Rodgers and his band Chic for a handful of live dates, including a September 20 stop at the Red Rocks Ampitheatre and an October 1 appearance at the Hollywood Bowl. The band is also performing at the inaugural edition of Rodgers’ FreakOut! Festival in Riverhead, New York; the two-day event features performances by Beck, Chaka Khan, Paloma Faith and Keith Urban, among others. September 11—Bestival @ Robin Hill Park—Isle of Wight, U.K.
November 27— Manchester Arena—Manchester, U.K.
November 28—First Direct Arena—Leeds, U.K.
December 5—Metro Radio Arena—Newcastle, U.K.
December 9— Bournemouth International Centre—Bournemouth, U.K.
December 11—Capital FM Arena—Nottingham, U.K.